Was given the opportunity to share Aquaponics knowledge with the The University Pendidikan Sultan Idris in Tanjung Malim Perak, UPSI is the oldest Teacher Training Institution in Malaysia and I am honored to be involved in their activity. 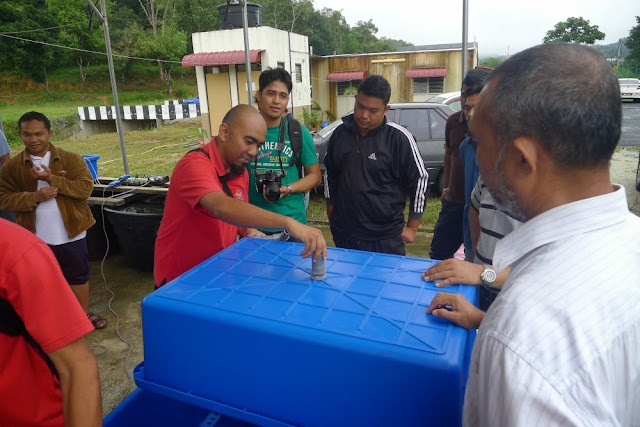 It is a short 2 days programme on Basic Aquaponics covering the basics theoretical and practical aspect of Aquaponics. At the end of the class, participant will be able to understand what Aquaponics is all about, various method of Aquaponics being practice, making the simple Media Base growbed over fish tank Aquaponics and finally making the Affnan Siphon. Session begins at 8:30 am with me departing home around 7:00 am with fully laden SUV taking 2 sets of Aquaponics Starter kit. 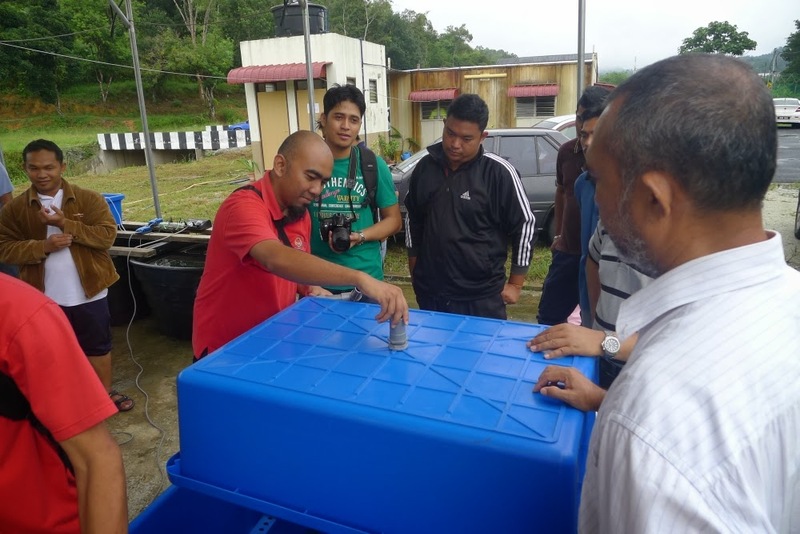 An introduction to Aquaponics and its various methods practiced start off the day. Explanation on Siphon and the evolution of it until the current design was discovered. 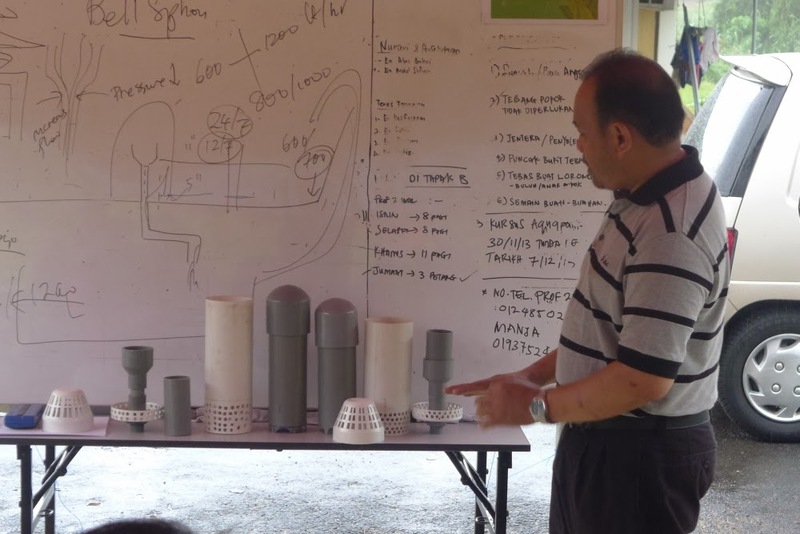 Comparing siphon that was made by UPSI, and pointing out various area of importance for a trouble free Aquaponics operation. An area within Horticulture Unit that's being allocated for Aquaponics installation, a total of five set going to be install and a few racks and siphon already made by UPSI Mechanical undergrad as shown in above picture. 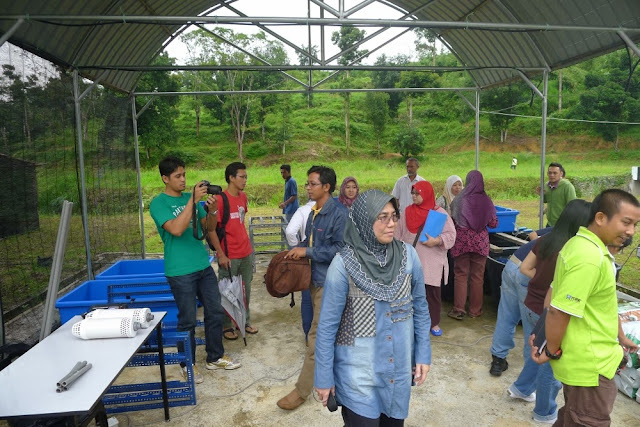 This program was spearheaded by Dr. Mai Shihah Bt Abdullah (center), Head of Agriculture Science Faculty UPSI and participated by few Lecturer, Undergrad and staff of the Horticulture Unit. 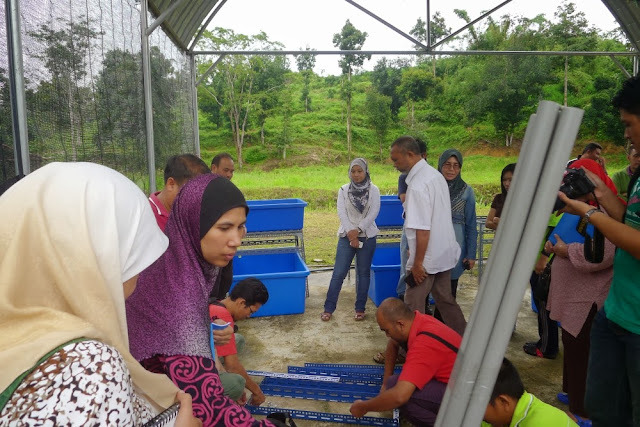 It's a good mixture of participant eager to learn something new but initially was a bit apprehensive due to uncertainties on how Aquaponics works. 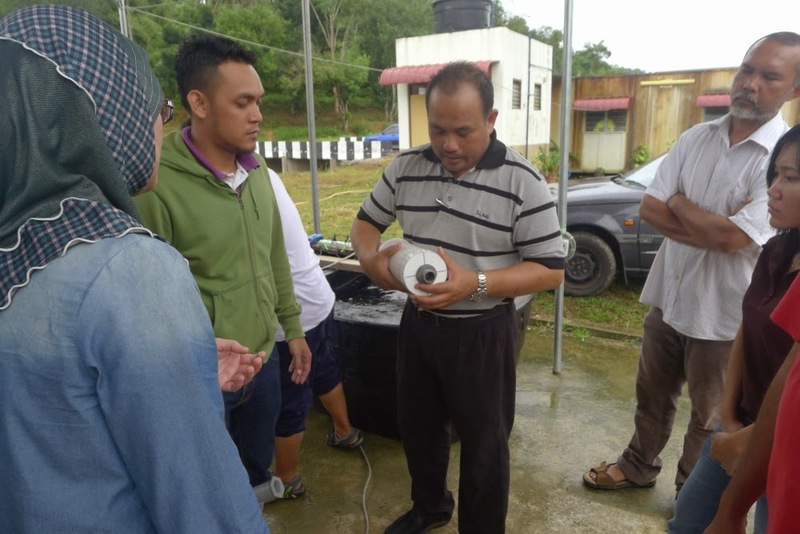 After theoretical it is hands on time where participant will be actually doing the work of installing a complete starter kit. I do the facilitating giving few pointers to ensure correct setting up. There are five sets to be installed and they form five groups, one to tackle a set. Dr. Mai Shihah is keen on doing it herself to have a feel on the making of a set. Shown here cutting the 32 mm stand pipe hole. Getting the top part right first time is not difficult, shown above aligning the index hole. 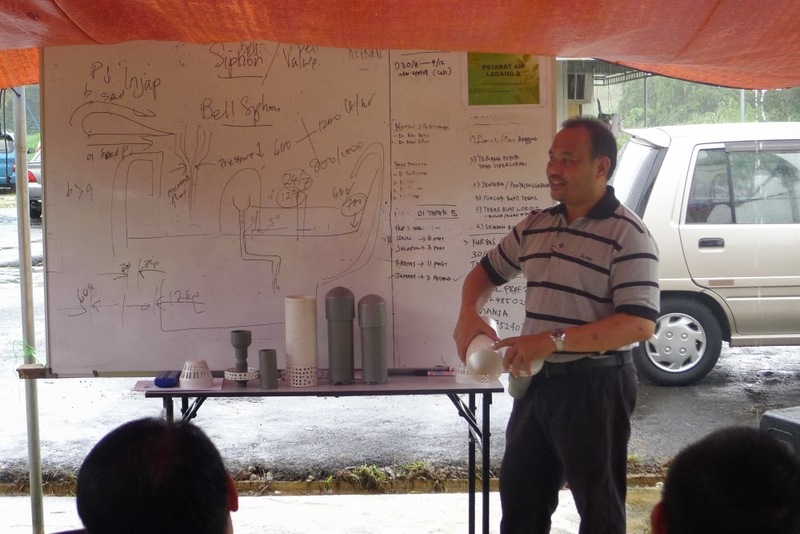 Pointing out few key features on the siphon and it uses. Bags of hydroton in the growbed after all checked out okay. Getting a feel at washing hydroton. Few more sets to be completed. 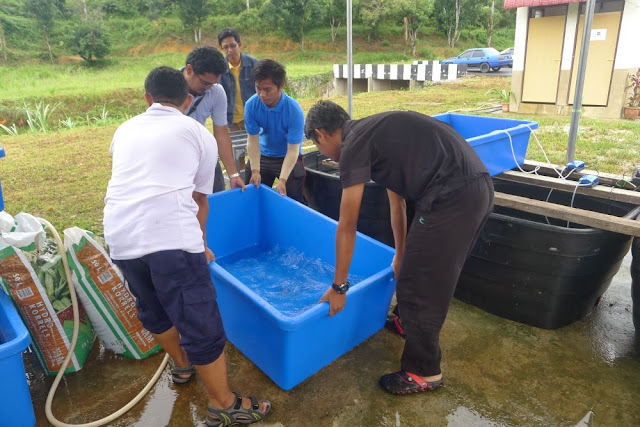 In all it was a rewarding day, sharing Aquaponics to few would be Teacher that can further share their knowledge with school children later on. Overall the installation was good, but as usual it takes time to learn the skill. Day two cover making of the Affnan Siphon and testing it out, participant made about 10 siphon and test it on site one by one. Unfortunately I did not manage to capture visual on the second day. 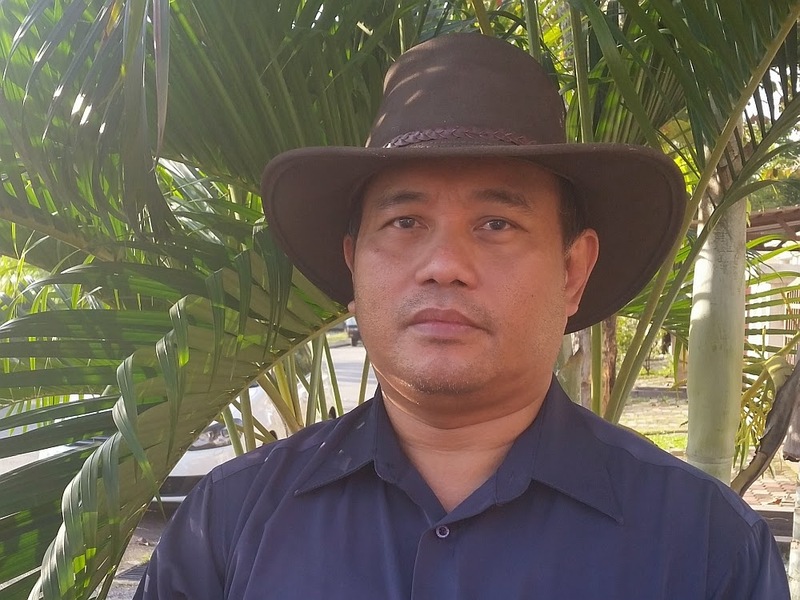 Yang warna hitam itu apa? 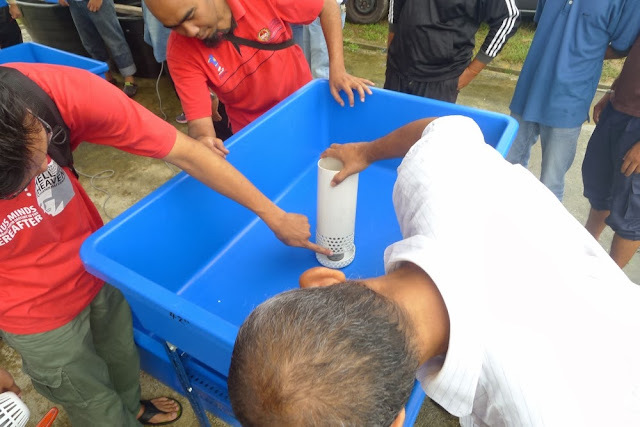 Itu electrical tape, buat temporary pegang inlet pipe. normally what type of fish is suitable to rear in aquaponic system? 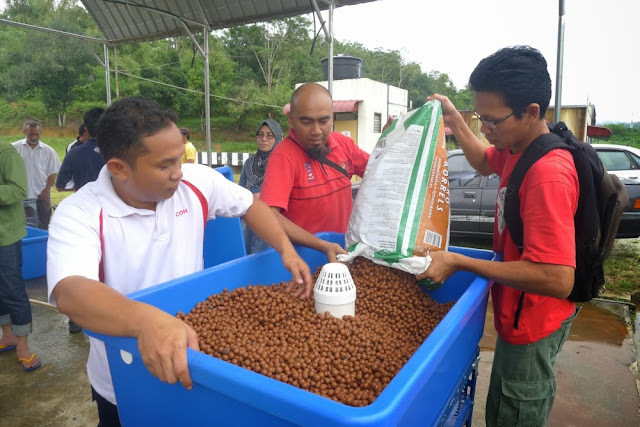 I am an Aquaponics Enthusiast from Malaysia. 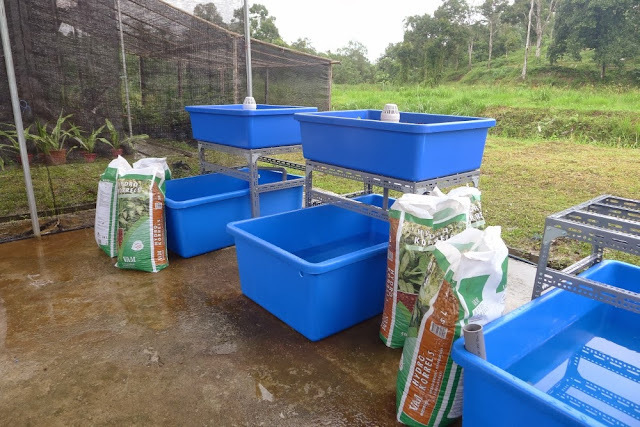 My involvement with Aquaponics started in early 2008 moving from water gardening, ornamental fish keeping and from necessities to keep plants alive in concrete jungle we live in. Urban Agrostyle specializing in Media Based Flood & Drain Aquaponics using siphon, producing vegetables and fish for household use in the small space that I have. 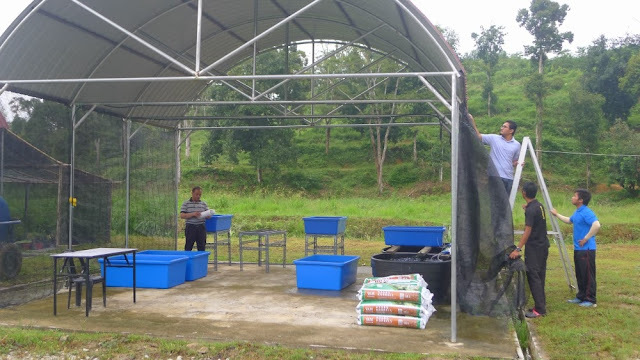 Ornamental Aquaponics is another area of aquaponics that I am looking at with working prototype that currently in use. 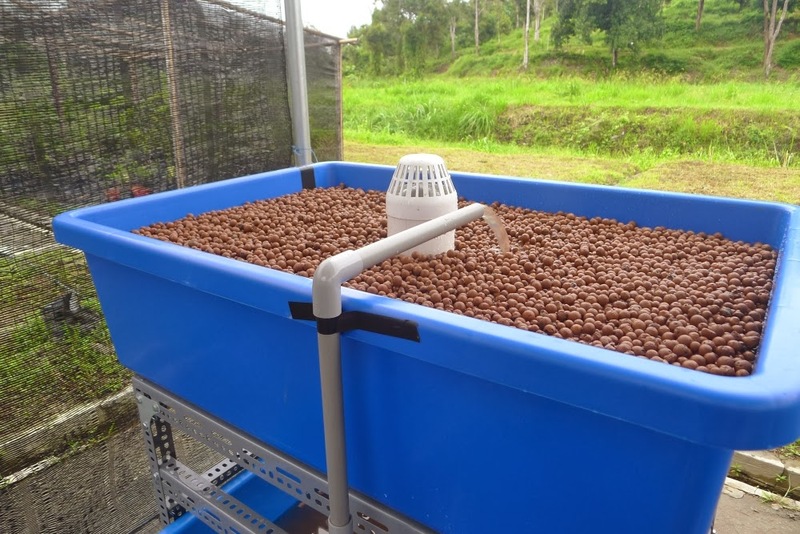 I did made some design improvement to the aquaponics siphon making it more reliable and as such that it is an "install and forget" item in the system. 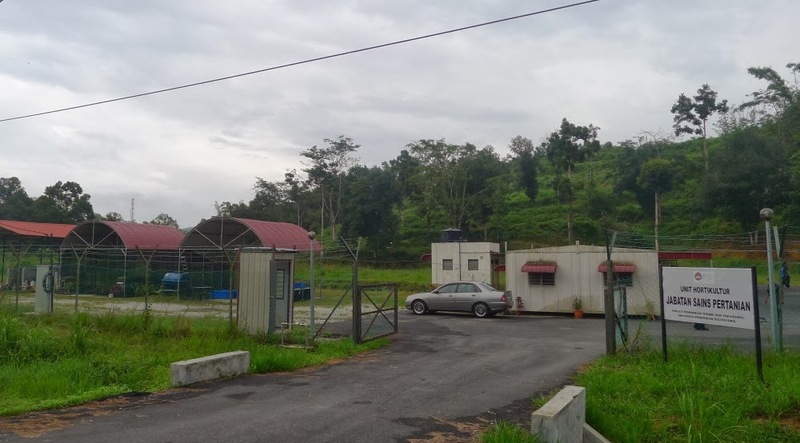 This blog is about my daily activities in Aquaponics, trying new things, improving on old or just routine work that I do. It will also be some blunders that happens occasionally, so that it will be a lesson learned and not repeated. I don't do Aquaponics on a commercial scale because it requires different level of expertise, settings and support equipment, therefore I will not reply any query on it. Thank you and do enjoy your visit and hope it’s beneficial to both you and me. 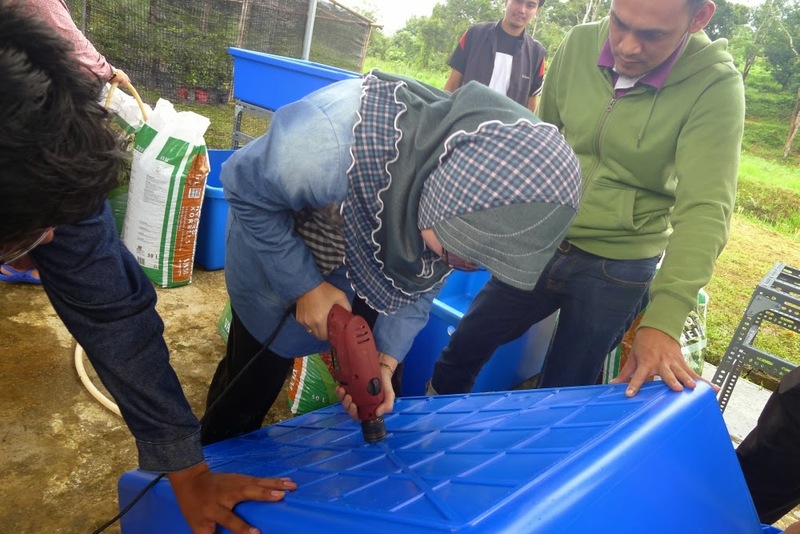 How Many Fish or Growbed ?